Emil Kraepelin was a German psychiatrist who is widely considered to be the founder of modern psychiatry and psychopharmacology. He suggested that the primary origin of psychiatric disease was related to biological and genetic malfunction. Kraepelin also devised a classification system for mental illness that helped shape later classifications. 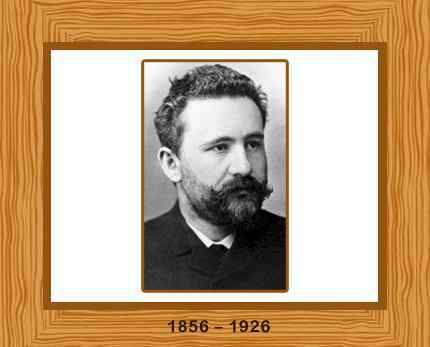 Emil Kraepelin was born on February 15th, 1856 in the town of Neustrelitz, in the Duchy of Mecklenburg-Strelitz, Germany. His father, Karl Wilhelm was a music teacher. Emil developed an early interest in biology through his older brother Karl. Emil chose a career in psychiatry when he was only 18 years old. He started studying the influence of acute medical diseases on psychiatric unwellness when he was a third-year medical student. After finishing his medical training in Wurzburg, Germany, in 1878, he took a position at the Munich Clinic. There, he had a good opportunity to explore brain anatomy, memory and learning. Kraepelin accepted a position as professor of psychiatry at the University of Dorpat, Estonia at the age of 30 years. In 1890 he became department head of psychiatric studies at the University of Heidelberg, Germany a position he kept for 13 years. Kraepelin was then appointed as professor of clinical psychiatry at the University of Munich in 1903, becoming director of the Munich Research Institute of Psychiatry in 1922. Kraepelin’s differentiation between “dementia praecox” (now schizophrenia) and “manic—depression” (bipolar disorder) was a turning point in the history of psychiatry. He held the belief that biological and genetic disorders cause psychiatric illnesses. He vocally rejected the conflicting approach of Sigmund Freud, who considered and treated mental disorders as secondary to psychological factors. Kraepelin suggested that the classification of psychiatric diseases should be based on common patterns of symptoms, instead of the mere similarity of symptoms. After his extensive observation of patients, he formulated the outcome, criteria of course and prognosis of mental illness. Kraepelin’s fundamental concepts on the etiology and diagnosis of psychiatric disorders laid the groundwork for every major diagnostic system of today, particularly the World Health Organization’s International Classification of Diseases (1CD) system and the American Psychiatric Association’s DSM-IV. Kraepelin was instrumental in establishing the German Institute for Psychiatric Research which was founded in 1917 in Munich. The last edition of Emil Kraepelin’s Textbook of Psychiatry was published in 1927, roughly one year after his death on 7th October, 1926. It comprised of four volumes and was ten times bigger than the first edition of 1883.